The SD 3.0 / eMMC 4.51 Host IP handles all of the timing and interface protocol requirements to access these media as well as processing the commands in hardware thereby scaling in both performance and access speeds. The SD 3.0 / eMMC 4.51 Host IP supports connection to a single slot and performs multi-block writes and erases that lower access overhead. 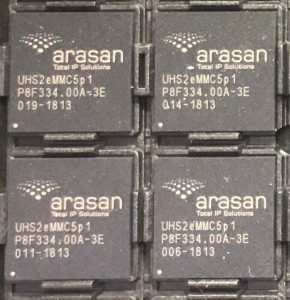 In addition, a host can utilize this IP to boot directly from an attached eMMC memory, thereby simplifying system initialization during power up. The host interface is based on a standard 32-bit AHB bus which is used to transfer data and configure the IP. Up to 104MBytes/sec read and write rates with 4 parallel SD data lines. Up to 200MBytes/sec read and write rates with 8 parallel MMC data lines. Designed to work with I/O cards, read-only cards and read/write cards.